Millennials are both a blessed and cursed generation. It seems like every day there is a new social network or awesome tech product popping up, just vying for our attention – and money. Unfortunately, most Millennials are stuck with student loan debt or lower salaries due to just entering the workforce. This often results in feelings of FOMO (fear of missing out) because their friends and family might have the latest and greatest merchandise while they’re stuck with last year’s “new” edition. Even with a good dose of self-control, sometimes FOMO hits really hard and you find yourself sliding that credit card in the scanner, only to look at the item a few weeks later in disgust (because it really wasn’t THAT necessary or great). Thankfully, not all purchases have to result in these harsh self-criticisms. 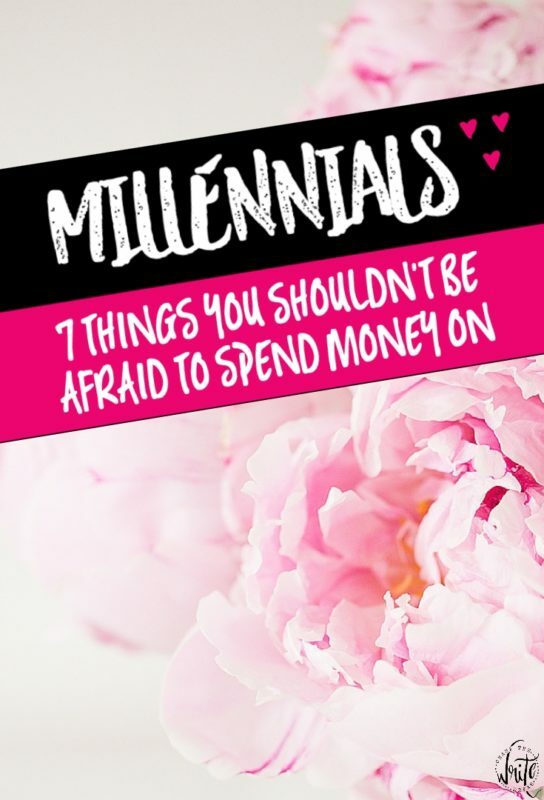 As a Millennial, there are plenty of great ways to use your money so that you feel not only satisfied about your purchase, but more confident in your abilities to manage your money wisely because you’re investing in things that are going to mean more or do more for you in the long run. Disclosure: This post contains affiliate links, which means that I will receive a small percentage of anything purchase you make (at absolutely no cost to you)! I only promote products I sincerely recommend. I don’t know about you, but if I don’t feel safe in a neighborhood, then my stress level rises, I don’t exercise as much (because I don’t want to walk the area), and so on. Thankfully, I’ve been blessed enough in my adult years that I haven’t had to worry about that, but I have several friends that always seem to be counting down the days until their lease is over so that they can get the heck out of dodge and into a safer space. Now, obviously you would never want to put yourself in a situation where you are using over a third of your income to pay for housing. That often leads to money strain and could result in a tough situation should something happen with your income. The goal is to assess your city and look at all the safe neighborhoods. You may need to look a little further outside of your ideal neighborhood if things are too costly, or you could consider getting a roommate to lower your monthly payments. Personally, I had a roommate for a few years and things went just fine. Not only was I able to save money by doing this, but I was able to live in a safe area that improved my overall well-being. That was a win-win in my book! Every job has their own dress code, but even simply being an adult means that you should probably have at least one or two professional outfits in your closet. You never know when you’ll need one for an interview, a business event, or another more upscale type of gathering. A simple pair of dress pants, a blouse, and a pair of pumps or flats is enough to do the trick – And don’t worry, you don’t have to spend a fortune on any of these! Heck, you could even go to a local secondhand store and buy an entire outfit like this for under $30 if you take the time to sift through the racks. 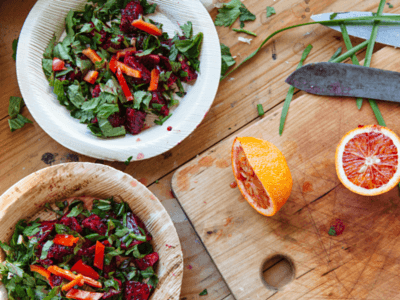 Over the years, I’ve found myself spending more and more time in the kitchen (thanks Pinterest), and let me tell you from personally experience – there is nothing worse than searching for an item that you need and realizing you don’t have it. If I’m being completely honest, I was a total cheapo when it came to my kitchen items when I was younger. It made sense when I was living in the dorms, but not so much when I got my first apartment. I quickly realized that my next-to-nothing silverware was rusting, the material on my pans was scraping off, and my plates were total college student material. Definitely nothing I would want any of my new adult friends seeing! When I finally got my new kitchenware, my whole thought process changed and my desire to be in the kitchen grew quickly. I actually felt like having people over and serving them rather than hiding things on paper plates. It was like a real step toward being an adult. Of course I would never suggest spending an insane amount on kitchenware, but I would recommend buying at least a nice set of dishes and silverware since those items can last for years upon years if you take good care of them. Also, if you’re considering buying any kitchen gadgets or machines, always do your research and read reviews about the products. The last thing you want is your mixer breaking down after two weeks of use! I used to hate purchasing airplane tickets, especially when the prices kept going up a few years ago. I kept trying to think of all the different things I could use that money on – a new hair straightener, a new phone, a tablet, etc. But the funny thing is that buying airplane tickets is one of my favorite ways to spend my extra money now. Because it means I get to get away from the mundane for a little while. I get to go see my family, make memories, experience new things, and appreciate all the people I have in my life. Every time I come back home I find myself feeling refreshed, refocused, and excited to visit again. Buying a new hair straightener would never do that for me. Whether you have family or friends that you miss or want to spend more time with, make an effort to make plans to visit them. Fit it in your budget by setting aside cash every month so that you can make that trip. I promise you won’t regret it! Since Millennials live in a tech-driven society, it’s important to stay connected and have a reliable computer that is easy to carry from place to place. Although desktops and tablets both have their advantages, I would recommend having a laptop in your possession. When you are looking for a good model, think about processor you like, how much memory you need, and what programs you’ll want to use. 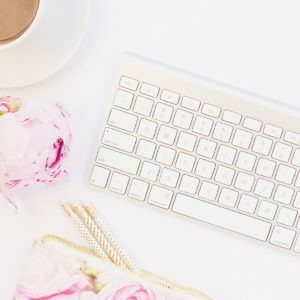 Don’t feel as though you need to get the big daddy system just because it’s deemed “the best.” You might not need that kind of power behind a computer and you could end up overspending by a ton if you get a laptop with a bunch of unnecessary features and functions. As always, do your research, talk to your friends to see what they like/don’t like about their laptops, and don’t be afraid to go to the store and try them out. Getting a good night’s sleep not only helps you stay awake and alert, but it also relaxes your muscles, your mind, and your overall body. If you’re sleeping on a mattress that is 20 years old and a comforter that is shredding at the seams, odds are that you aren’t getting the best sleep you could. When I moved into my first apartment after college, purchasing a new bed was the top item on my list. Unfortunately, I knew how expensive beds were and I tried to put it off for as long as I could. When I finally went to the store, chose my bed, and had it delivered, I couldn’t remember why I hesitated so much. This was an item that I was going to use literally every day, so of course it was worth spending the money on. Not only did I notice that I slept better, but just having a comfy bed with a nice comforter made me feel like my apartment was actually a home, rather than just a place to sleep. Last, but certainly not least, I just had to put a quality haircut on this list because you want to feel confident in your appearance. When you have a bad haircut, you often want to hide it and you may even shy away from seeing people because you just don’t feel like you. Even if you can’t go regularly, sometimes you just need a good day at the salon to feel rejuvenated and reimagined. It’s ok to spoil yourself sometimes, friend! These are just seven of my ideas, but I’d love to hear some of yours! Feel free to leave a comment below and tell me what you think is a good investment.